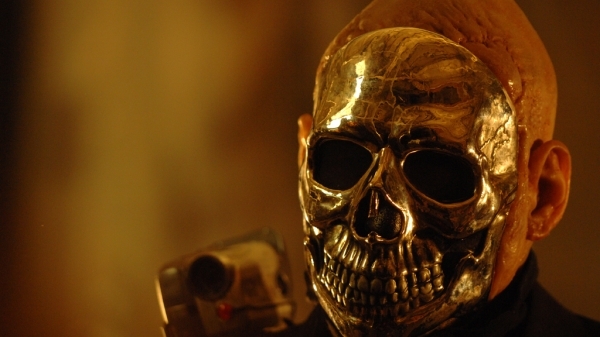 ChromeSkull, who barely escaped death is hell-bent on continuing where he left off... Forging a new path of terror and destruction. Well after the gruesome ending of "Laid To Rest" I have to admit I wasn't really expecting a sequel, but then when it's popularity rose and rose it wasn't too much of a shock when news came out that that there was a sequel in the works. 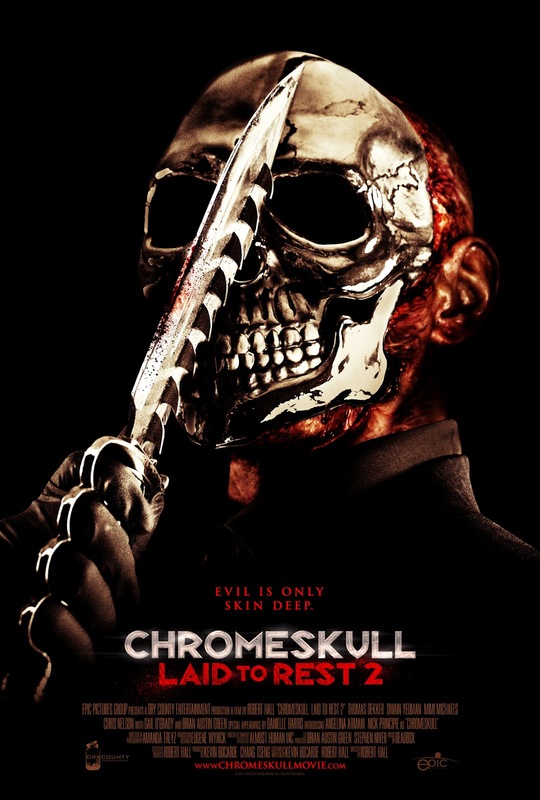 The films picks up where "Laid To Rest" left off, we soon find out ChromeSkull isn't dead after all and continues his deranged ways. This time he seems more bitter and angry which is no surprise after what happened to him at the end of the first film, it's like he has some sort of organised insanity. With the addition of cast members Brian Austin Green and Danielle Harris we get more of a rounded film where the focus isn't all on the killer and lead victim. I was quite hesitant about Brian Austin Green but he pulls off his character perfectly and I'd actually like to see him do more Horror work, Danielle Harris is amazing as always. We also get more of a look in-to ChromeSkull's life, is he part of a cult? A secret organization? Who knows, but the fact were not really told makes for great mystery. There are many little plots going on throughout the film but all tie together very well, although you do feel there's something missing, I just don't seem to be able to put my finger on it. The gore and cringe inducing kills are still amazing, even better than what we saw in "Laid To Rest", they seem so 'in your face' and are so creative it makes you ponder how Writer/Director Robert Hall's mind works. Talking of Robert Hall he does another great job here, he seems to have a passion for the genre and it shows on screen. This sequel has split opinion with fans of the first feature, I'm one of the ones who enjoyed it and look forward to the rumoured next instalment "Laid To Rest 3: Conception", whether it will be a prequel or a sequel is yet unknown. OH! Make sure you keep watching for the extra scene at the end of the credits!